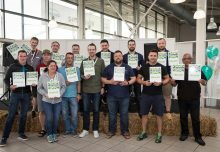 The Outdoor Trade Show (OTS) 2018 closed its doors on its 13th year on a high, receiving excellent feedback from exhibitors and visitors alike. 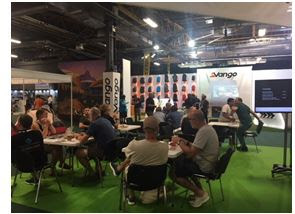 Taking place at EventCity, Manchester for the first time, the new location was also praised by all. 950 trade visitors attended the show over the three day period, representing a 7.5% increase from 2017, but what was more noticeable was the overall 30% increase on repeat visitors on the Wednesday and Thursday, indicating that more buyers chose to stay at the show for longer to accommodate the increased number of 118 exhibitors at the show. 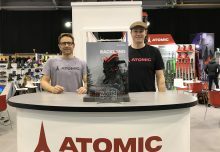 For the first time at the show there were retail buyers from Tiso, Gaynor Sports, George Fisher and Craigdon Mountain Sports as well as from the multiples, including JD Sports, Outdoor and Cycle Concepts, Ellis Brigham, Decathlon, Go Outdoors and independent outdoor stores such as John Attwooll and Co, Taunton Leisure, Winfields, Trekitt and 53 Degrees North. 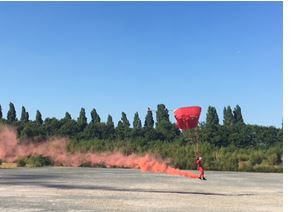 Highlights from the show included the world-renowned British Army parachute team, the Red Devils, who delivered an incredible display and parachute jump on the first day of the show, the display of over 90 products at the UK Outdoor Industry Awards 2019 area and the OTS Party on the Wednesday, which welcomed over 250 exhibitors and visitors with music, food, drink and games for all. 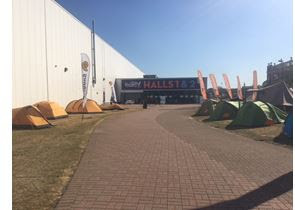 “For us, OTS represents a platform that provides a complete overview of the UK outdoor market and effectively connects retailers and outdoor brands within the industry. We’ve enjoyed a high amount of visitors coming to our booth interested in further cooperation. 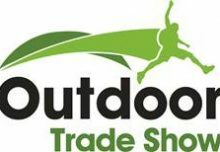 We also appreciate the highest award in the UK Outdoor Industry Award. The whole team behind Skinners will definitely come back for OTS next year.” Petr Procházka, Founder & CEO of Skinners. 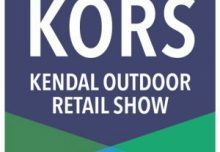 A follow up survey will be distributed to exhibitors and visitors to gain further feedback, and opinions for next year’s show, which will once again offer a fantastic opportunity for retailers to see a wide variety of outdoor brands presenting clothing, footwear and accessory products. Further information is available at www.outdoortradeshow.com including a downloadable visitors’ guide.